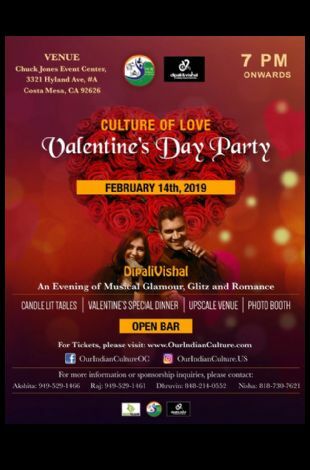 Please note Valentine's Day Bollywood Party occurred in past. 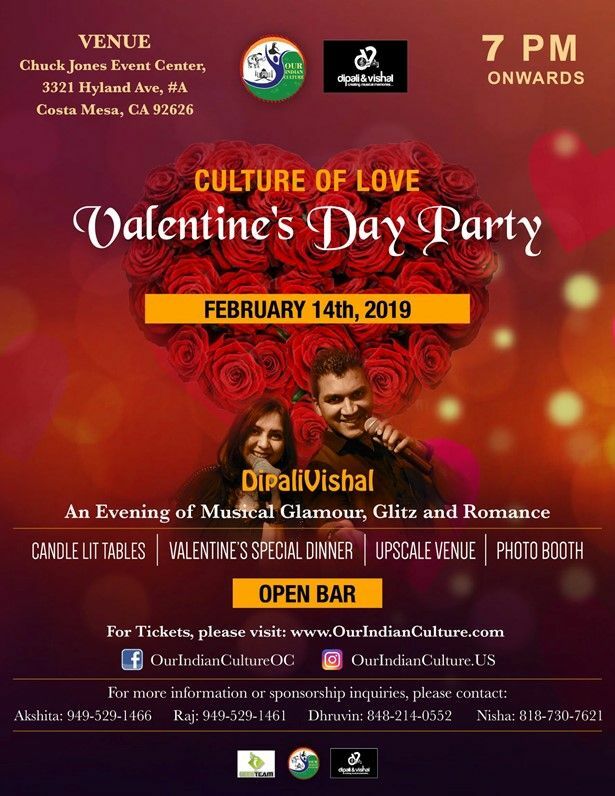 * LIVE, Sensational Singing & Stage performance By OC's Top Bollywood Singers - Dipali Vishal. * An ambience to fall in love all over again.